The omens for good weather for the 2019 motorsport season are looking positive. Blue skies and, relatively, clement conditions have been the norm. 2019 started with the International Autosport show at the NEC followed by the MGJ Rally Stages at Brands Hatch then the VSCC’s New Year Driving Tests at Brooklands. 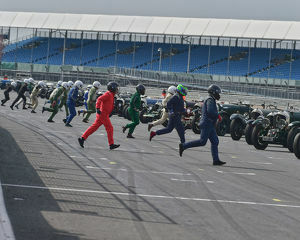 February had the uplifting Mission Motorsport day at Silverstone, then it was back indoors for the London Classic Car Show, swiftly followed by the VSCC Pomeroy Trophy on the full Grand Prix circuit at Silverstone. February closed with the splendid Race Retro event. The twin live Rally Stages and BHKC demo runs having shifted slightly on the Stoneleigh Park site due to HS2 prep-works taking over the previous space. 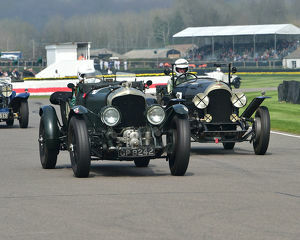 March will see the launch of the BTCC and HSCC seasons, the Goodwood MM having moved to April. After this it's activity nearly every weekend until November. Here’s to a great and safe season.